By Xah Lee. Date: 2018-10-03 . The first member of the PC-8000 series, the PC-8001 was first introduced on May 9, 1979, and went on sale September 1979 for ¥168,000. Its design combined the keyboard and the mainboard into a single unit. 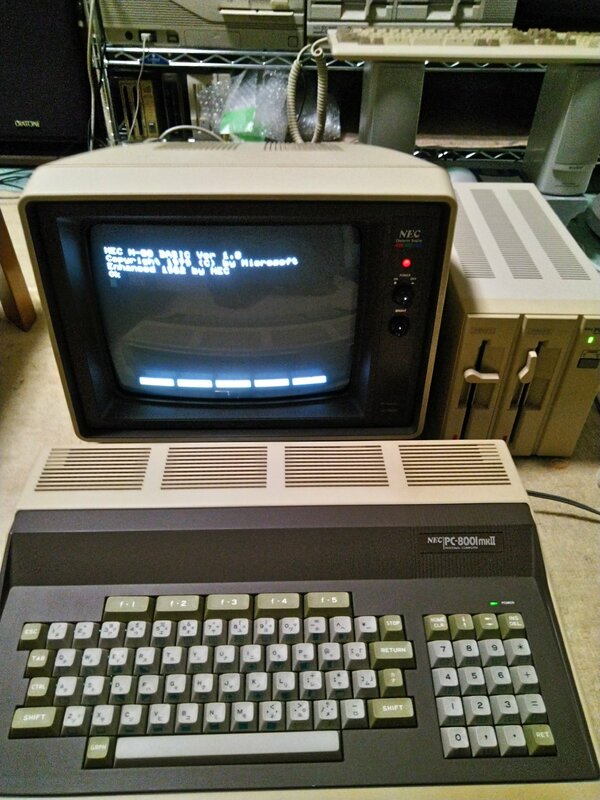 At a time when most micro-computers were sold as “semi-kits” requiring end user assembly, the fully assembled PC-8001 was a rarity in the market. Peripherals included a printer, a cassette tape storage unit, and a CRT interface. 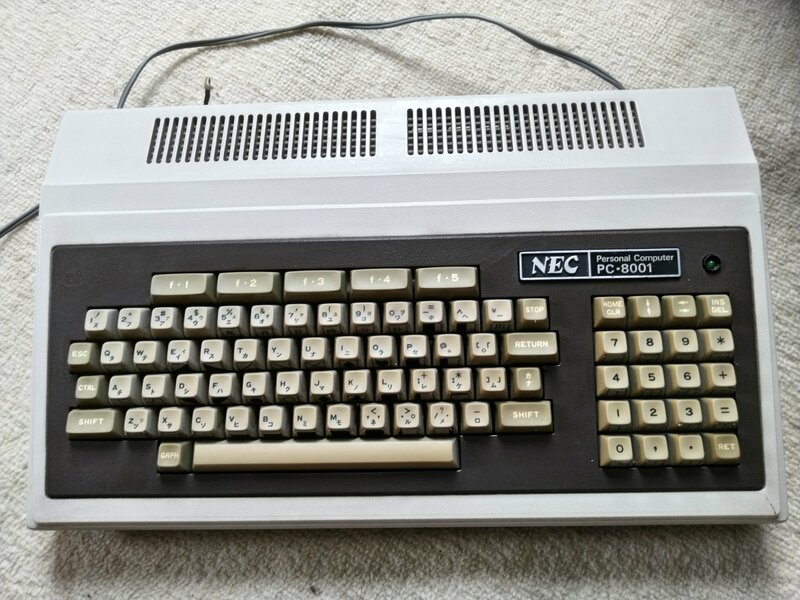 Although it is often believed to be the first domestically produced personal computer for the Japanese market, in reality it was preceded by the Hitachi Basic Master.